The drug lord organizes an expedition team, to allow the musically talented Pluck Princess to reach the upper floors of Towerld and to perform in the mysterious ritual to be held. After defeating a formidable foe, Hector_1304 becomes the chief guard of the expedition. As he intercepts many assaulters in the journey, he loses himself in his own overconfidence and viciousness, to succumb to the dark side. As his master, Wendy tries to correct the errors of his ways, but his new attitude has become too much for anyone to tame. As Wendy resorts to her deadly maneuver, Hector_1304 uses the Pluck Princess and his hidden feelings for her as a political leverage to deliver the unforgiving and unforgivable ultimatum. Can he still continue his journey to the upper tiers of Towerld, while rejecting his dear master? 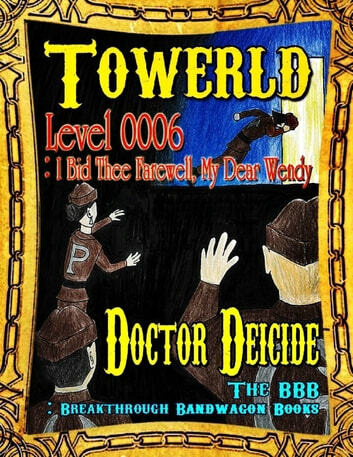 Towerld Level 0017: Take Over the Creamy Pure Show! 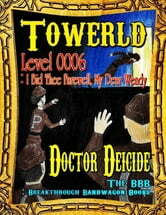 Towerld Level 0007: Is My Target the World, the Diva, or What?